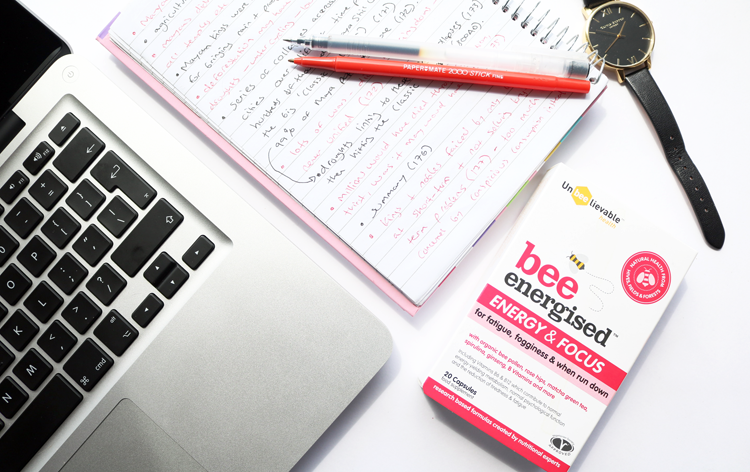 Do you need a little boost of energy to get you through a long revision session, or do you need help focusing on that important project at work? These all natural, organic supplements from Unbeelievable Health could give you a helping hand. Many of us could benefit from having more energy as it's very easy to feel tired and run down these days with everything that the world throws at us. Whilst we need to manage our stress levels in the long term, there are those unavoidable situations when you just have to plough through and get on with things so that you can progress to the next level, e.g revising for exams, finishing that end of year dissertation and completing a project at work to get a promotion etc. If you feel like you could benefit from a little energy boost and help focusing on the task at hand, you could try something like these supplements from Unbeelievable Health. I've tried out a pack for the past 20 days to see if I could notice any difference in my energy and concentration levels. What are they and what's in them? I took one capsule a day for 20 days (1 pack) and I noticed a slight improvement in both my energy and concentration levels. It wasn't a big change or anything like that, but it was enough for me to tell a difference. When used in conjunction with a healthy diet and regular exercise, I think these could be very useful for people during particularly busy periods in their lives. 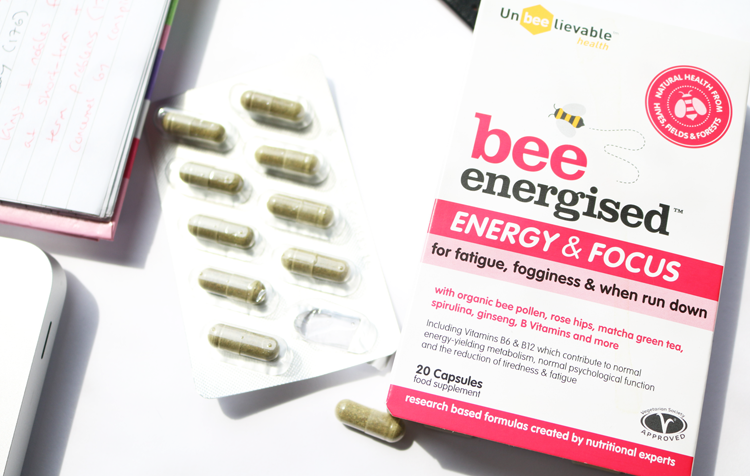 Unbeelievable Health's Bee Energised Energy & Focus Supplements* (20 capsules in 1 pack, £11.99) are available from naturisimo.com with free worldwide shipping. Do you use supplements like these?